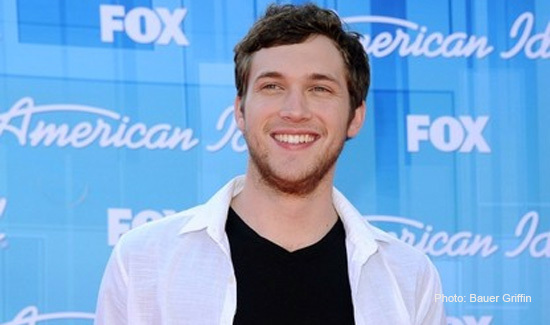 AMERICAN IDOL SEASON 11 Winner Phillip Phillips Recovers for Tour! At a recent press conference in Los Angeles, California, FOX’s “American Idol” winner of season 11 Philip Phillips talked to reporters about traveling, being away from home and his recent bed rest while he was recovering from the removal of a kidney stone. One reporter asked Phillips if he plans on doing anything special on stage when he gets to his home town in Leesburg, Georgia. Phillips said that he usually doesn’t think about it until it hits him while he’s on stage. The Idol contestant the Phillips gets along with the best he said is Colton. “Not really. I don’t like him!” Laughter followed. The American Idol Live! Tour 2012 will kick off July 6 in Detroit.